New startup businesses in greater Los Angeles and Southern California face a wide variety of different kinds of challenges. These challenges can be daunting even in the most favorable circumstances, but the ongoing difficult economic environment nationally and in Southern California can make starting a new business even harder today. If you have clients that have come to you for help in starting new business ventures, then you have seen these challenges first-hand. Of course, it’s in your best interest to help your startup clients overcome these challenges and launch successful new business ventures. Following is a discussion of five of the most pressing challenges faced by new business startups today — and how bringing in an outsourced CFO services provider can help your clients meet these challenges in an efficient and cost-effective manner. 1. Finding and hiring experienced executive financial leadership. Most entrepreneurs are experts in their particular field, whether this is manufacturing a particular product (i.e., “gadget guys”), delivering a particular service or consulting in a particular area. Or, they are visionaries who have an idea for a new business venture and are able to gather resources, execute a sales and marketing plan, and build a team. However, many entrepreneurs are not financial experts — they need experienced executive financial leadership in order to make their business idea a reality. Some of today’s most successful businesses are testimonies of this. The founders of Google, for example, were technology whiz kids who realized their financial limitations. So one of their first priorities was to bring high-level strategic financial leadership onto their team. 2. Creating a top-notch financing presentation in order to raise startup funds. An entrepreneur’s lack of financial expertise often becomes evident when he or she is trying to raise venture capital or angel funding, or obtain a business loan, to help get a new venture off the ground. Financiers and bankers want to see more than just a great idea before investing in a new startup venture — they want to see hard financial data that demonstrates that the idea is financially feasible. Unfortunately, entrepreneurs are often woefully unprepared to provide this kind of financial information on their own. This requires experienced and strategic financial leadership at the executive level — something that is often hard for startups to find and afford. An outsourced CFO services provider can prove to be an invaluable resource in this scenario by helping entrepreneurs create the kind of top-notch financing presentation required to raise capital — and doing so on an as-needed basis. 3. Being able to afford the kind of strategic financial expertise required by a startup. In most startup ventures, much (if not most) of the operating budget is allocated to sales, marketing and research and development. And this is understandable because without these, the business will probably never get off the ground. The challenge lies in the fact that, with so much of the budget allocated to these core functions, there usually isn’t enough left over to pay the kind of salary demanded by an experienced CFO. 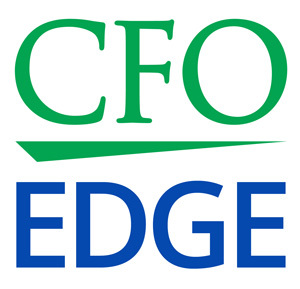 An outsourced CFO services provider can offer the same high level of strategic financial expertise as a full-time CFO, but on an outsourced, rather than a full-time, basis. This results in significant cost savings for your startup business clients. 4. Taking a long-term, strategic view of business finances. Not surprisingly, entrepreneurs and managers starting up new ventures often have a short-term view of their business’ financial situation. At this stage, they are usually thinking more about keeping the business afloat for another quarter, month or even week and “putting out fires” than about long-term, strategic financial planning. An outsourced CFO services provider can help startup entrepreneurs take a step back from the urgent, day-to-day financial priorities and “fires” and plan ahead strategically for the company’s financial future. This includes pulling together and quantifying all relevant data (both financial and operating) and preparing it in actionable formats (reports, charts, graphs, etc.) so that it can be interpreted and used by management and other stakeholders. 5. Getting the most bang from their limited payroll budget. As noted above, with so much of a startup’s budget allocated to sales, marketing and R&D, there’s often little left over to pay executive salaries. Key executives (beyond the CEO) in a startup usually include the Chief Sales Officer or Vice President of Sales; the Chief Marketing Officer or Vice President of Marketing; the Vice President or Director of R&D; and the Chief Financial Officer. Startups need the strategic expertise of a CFO, but this doesn’t mean they need to hire a CFO on a full-time basis. By hiring an outsourced CFO services provider instead of a full-time CFO, a startup can allocate more of its limited payroll budget to these other executive positions. One of the best ways you can help your Los Angeles and Southern California startup clients succeed is by referring them to an outsourced CFO services provider for help in meeting their biggest financial challenges. This includes creating the kind of top-notch financing presentation necessary in order to continue raising startup funds, which are the lifeblood of most new business ventures. By hiring an outsourced CFO services provider, startups can conserve valuable cash and allocate it to other core departments or executive positions while still obtaining high-level, strategic financial expertise.